With the biggest tax overhaul in the history of the Indian economy, the Goods and Services Tax (GST), just hours away from its rollout, industry experts are bracing for this 'One Nation, One Tax Vision' of Prime Minister Narendra Modi's government. As per various industry leaders, the rollout of the GST will bring in a uniform indirect taxation system that will subsume various central, state and local indirect taxes and levies. The GST, which will be collected on everything from matchboxes to gold, will touch all sectors and industries. A modern tax system, which is fair, uncomplicated, transparent and easy to administer will benefit and yield revenues to cover the cost of government services and public goods. The GST rollout will mean that multiple indirect taxes levied by both the Centre and states will be done away with except for customs duty. 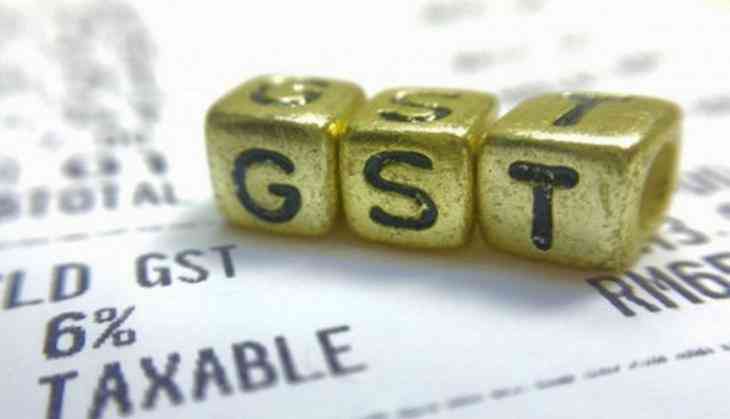 "The introduction of the new tax reform is drawing Indian businesses into digital economy, which is further pushing traders and business owners to brace IT infrastructure, in order to fulfill the compliance needs for GST. With the implementation of GST, we see the graph of PC sales going higher in the coming months." Further to this, he added that from the past couple of months, their team is working towards developing GST-enabled machines. "We have also introduced a range of desktops, laptops and AIOs, which are GST ready. We see this as a huge opportunity to assist small businesses and trades in adopting this change and growing with economy by utilizing technology at its best," added Panigrahi. "The government's decision to levy five percent GST on solar panels as against the earlier classification of 18 percent comes as a major reprieve to the industry. The fact that it is still higher than the present effective tax rate of zero will, no doubt, impact project costs marginally." He added that under the new tax regime, solar has been placed at par with coal which seems to indicate that the country is moving towards grid parity in true sense. This augurs well for the long term energy security of the country. "This, quite rightly, addresses the unique energy dilemma that India faces considering that close to 18,000 villages do not have access to energy, but, at the same time, the country has a strong commitment to reduce its carbon footprints," added Anurag. "The Indian PC industry will see a boost in demand for devices as India gets ready for GST implementation. Every business needs at least one device: a desktop, laptop, AIO or a tablet which presents a huge opportunity for PC makers to aid small businesses. Our task at hand is to ensure that our channel partners and end consumers are prepared for the GST regime." "The need of the hour is providing adequate support to make the transition seamless and easy. India has a very diverse SME ecosystem and thus a one-size-fits-all GST solution does not work. Therefore, we have partnered with the best solution providers in the industry - Intel, IDOS, WeP, and Marg to provide a multitude of options for businesses to choose from," added Pankaj. "One nation one tax (GST) will have a positive impact and bring more transparency in the tax system and its benefits must pass on to consumers. It will be a major booster for the Indian Economy. After GST gets implemented, property prices will not have any impact for home buyers. The benefits of input credit tax and simplifying double taxation effect will be instrumental for both developers and the end consumers." He added that the industry has been anticipating and awaiting GST. Being a large-scale reform, there may be some initial teething issues. But the Government has already announced that companies would be allowed to file late returns during the first two months. "The move will boost revenue from Travel and Tourism sector for the next many years. The industry is expected to contribute 280 billion dollars to the GDP by 2026 and will pass on benefits of uniform taxation across the country to travelers," added Arora. "Post implementation of GST, the economy will witness a major impact as each and every individual is going to be affected in a positive way. Tax credit on purchases and a free flow of goods and services, the GST regime truly augurs well for our industry." "We anticipate that implementation of GST should result in cost savings in the supply chain network and also reduce administrative hassles. This will also help in removing economic distortions and bring about development of a common national market," added Vishwas. "GST for our segment is currently placed at 18 percent and we're still in ambiguity in terms of total calculations. Only once it's implemented we'd have a clear picture. Hospitality currently is one of the highest generating sector in terms of employment and a lower tax bracket would have definitely pushed our industry." "We wholeheartedly welcome the GST regime. There will be short term teething issues, but it will most certainly be great in the long term. The restaurant industry is taxed at 18 percent in general which is one of the highest slabs globally." He added that GST will lead to higher growth in consumption and conversion from unorganized to organized. Both of which would have led to the huge creation of jobs and a higher tax collection for the government in the long term.